Morning! Nothing much to share today. My head is in a thousand places at once lately is seems. But I want to share this card I made for our Paper Princesses monthly challenge. AnnMarie sent out the kit for our group this month. She rocks the punch art! 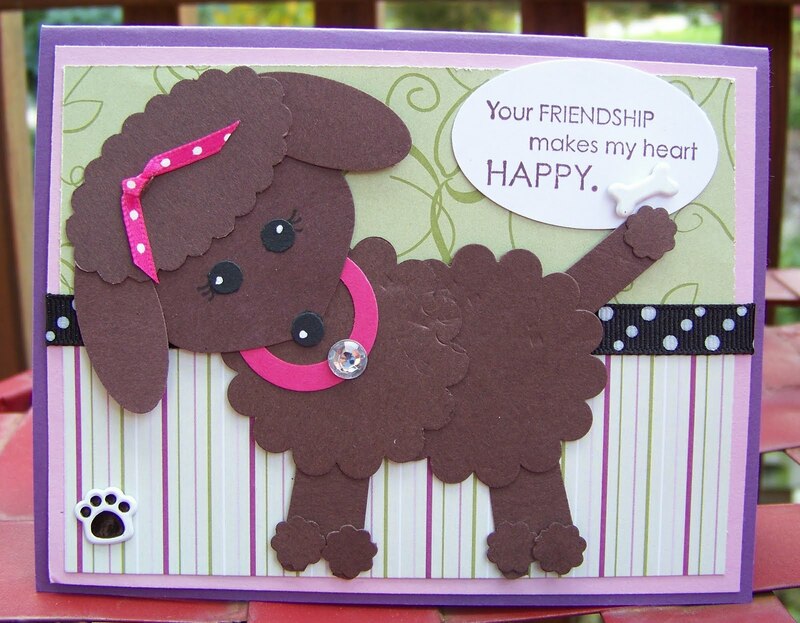 She put this little doggie together for us using just punches! I used SCS sketch 222. Colleen, this is just adorable! Love this image - fabulous job! So adorable. I love the sketch you used. The puppy is just too cute!! Awwww....your card came out soooo great!!! Love the sketch! Oh my gosh, overly cute!!!! What an amazing little punch art puppy. LOVE IT!!! AWWWWW!!! This is too stinkin' cute!!! This was such a fun challenge.. loved that punch art poodle!